The Black Dice DON watch is part of the urban streetwear collection that showcases modern and sophisticated designs expertly blended with a touch of rebellious trendsetter attitude. 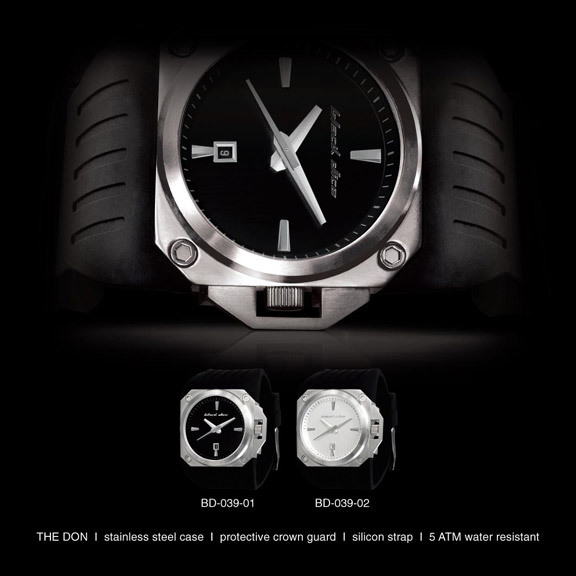 This version of Don features oversize black stainless steel case with black dial and green accents; black and green hands and calendar. 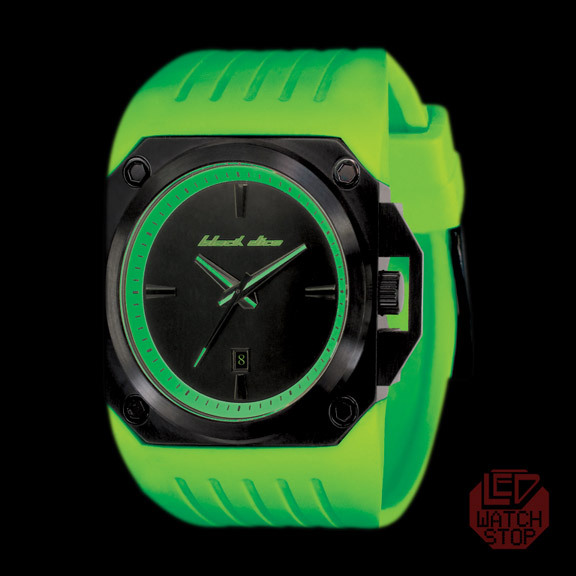 Neon Green silicon strap and protective crown guard. 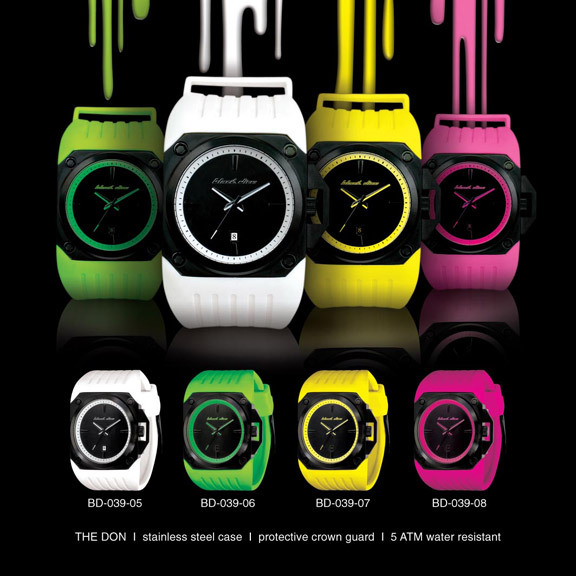 Be your own boss when you Don a Black Dice Watch!